About a month ago, I decided to get a road bike. I need a summer hobby, I’ve got to lose a few pounds, and it seems like a nice way to spend a Sunday afternoon. I’ve got a decent mountain bike that works well for commuting to work, but it’s not great for anything longer than about 10 km. The range of choices is daunting, and there are tons of websites and cycling forums that can answer most questions you might have. The wealth of information can be a little overwhelming – cranksets, shifters, brakes, frame material, frame geometry, forks, hubs, etc. If you’re thinking about buying a bike and are looking for a sample road map, here’s how I made my decision. 1. At the beginning, I knew I wanted something with drop handlebars. This narrowed the field down to road bikes, cyclocross, and touring bikes. 2. I decided I probably wouldn’t be hurtling down dirt paths, so that ruled out cyclocross. I also won’t be heading out on 1,000 km journeys laden down with packs and a tent, so I ruled out touring bikes. That just left road bikes. 3. I wanted something with Shimano 105 components. Although everyone has an opinion on components, most seemed to agree that Shimano Sora and Tiagra aren’t that great, and the 105’s are a good balance of performance and cost. 4. For the amount I wanted to pay, I figured I should go with an aluminum frame and a carbon fork. Some swear by steel frames because they’re more comfortable and easy to fix, others love aluminum for its weight. I tried both, and the aluminum felt fine to me. 5. Several people recommended I look at bike shops close to home as regular maintenance and servicing will be way more convenient. Fortunately, I live around the corner from Full Cycle, a great bike store with knowledgeable, helpful, and friendly staff. Kona Honky Tonk (2009): Great price point for a bike with 105 components. Nice steel-frame, but I didn’t really like the retro down tube shifters. Kona Jake the Snake: A pretty cyclocross bike, and the wrestling fan in me took the name as a sign from God (Note: not actually named after Jake “The Snake” Roberts). Ultimately it didn’t really match up with the kind of riding I want to do. 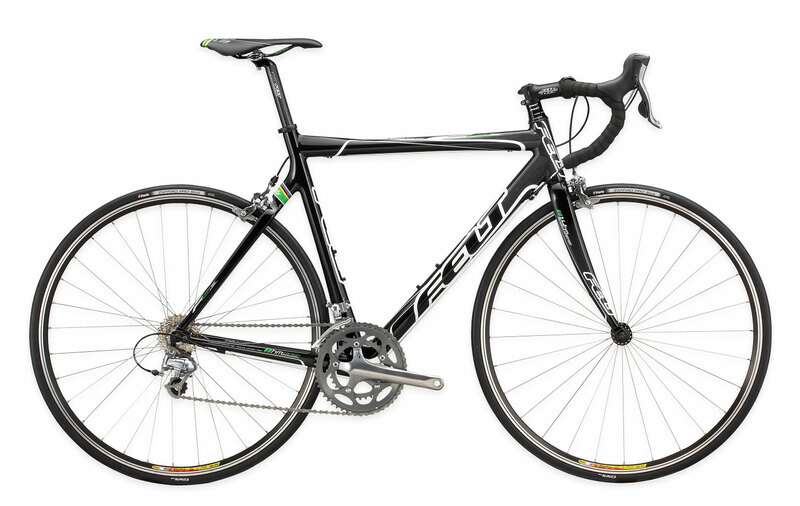 Felt F5 SL: They gave me a carbon frame bike to try out. Light, smooth, comfortable – everything I was looking for, but about $1,000 more than my limit. 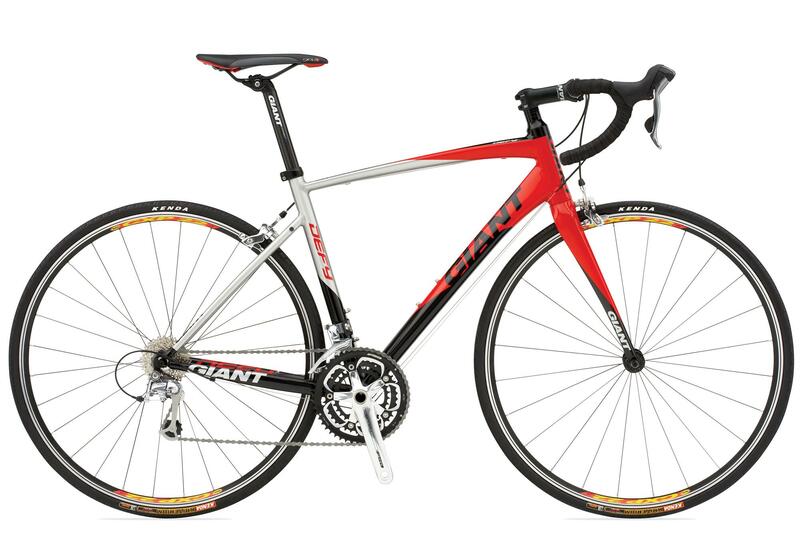 Giant Defy 1: I really liked this bike, and the online reviews were very positive. The frame was beautiful and it was an extremely smooth ride. 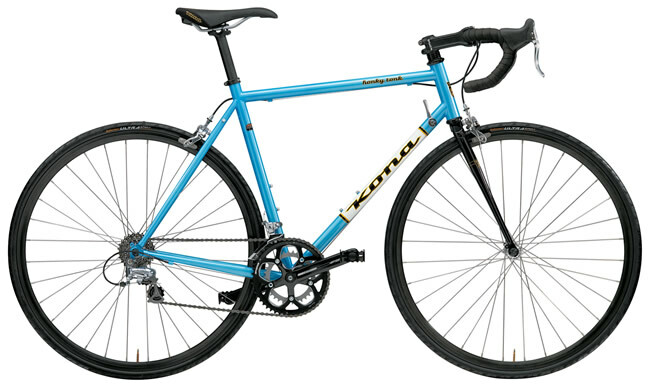 Kona Zing (2009): I had originally ruled out the Zing based on the specs. 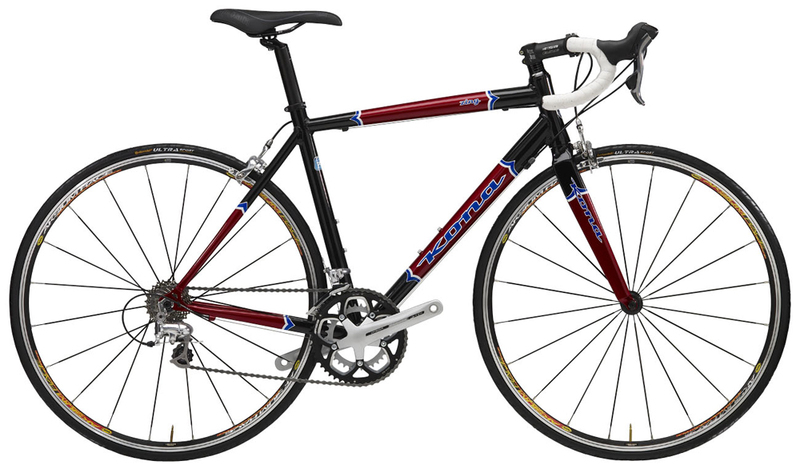 However, I was looking at info for the 2010 model – the 2009 model that Full Cycle had in stock had much better components, including an Ultegra rear derailleur. I believe last year’s Zing is now this year’s Zing Deluxe, which is kind of confusing. After nearly a month of research, test rides, and multiple visits to the store, it came down to the Kona Zing and the Giant Defy 1. A nice woman named Patty who works at the store helped me decide with a couple of pieces of key information. 1. She said Kona has more of a cult appeal, while Giant is more well-known and, well, common. 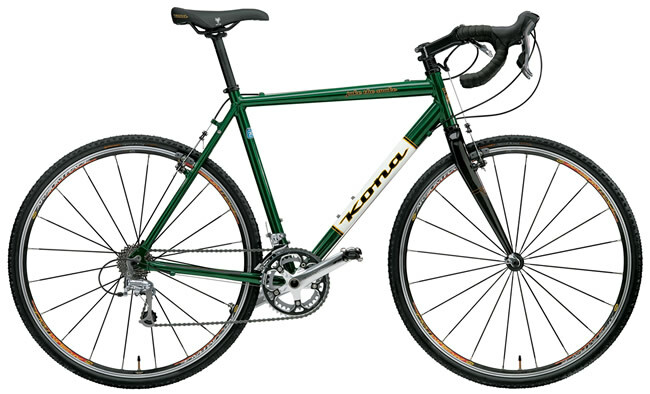 I’d spent a lot of time on Kona’s website, and I liked their aesthetic and business model (check out their Africabike). Point for Kona. 2. The Kona has a double crankset, and the Giant has a triple. Now, nothing seems to divide the road bike online community like the double vs triple debate. Some say the triple is great for recreational riders like me who may need the extra gears on tough climbs, while the more hard-core riders simply say “you don’t need a triple, you just need to get stronger (ya thin-legged loser)”. Anyway, Patty said pretty much everyone who works at the store, including her, rides a double. That sealed it – buying a triple would make me less of a man than I already am. Finally, since the Zing was last year’s model, it was also $200 cheaper than the Defy 1. The extra money will come in handy as I face a never-ending list of add-ons: shorts, shirts, pedals, shoes, trip computer, saddle, water bottle, air pump, spare tubes, car rack, etc. So far I’ve had the bike out a few times and it’s a nice change from the mountain bike. When I put my head down, grab the drops, pedal hard, and the road becomes a blur, I feel like a real cyclist. The euphoria lasts about 30 seconds, which is when my pathetic thighs begin complaining about this new and unusual punishment.